Susie Forest dedications and Saturday I loved how a man there put one of the pieces of the dedication into perspective. After I told the story of the painted stones he came up and asked some questions. “Yes,” I said, “I pick up a stone at one tree planting, paint a heart on it and place by the roots of another tree.” “Mmm, he mused, “a thread . . .” “Aha,” I thought and didn’t hear anything else he said. That “thread” ran through my head all day and then I put it into a sentence: the stones are a thread that weaves the individual Susie trees into the Susie Forest. But now I have a problem. I have to connect that thread through the trees, at least in Spokane and that means 222 stones – so far. I began picking up stones at the plantings a few years ago and putting them in a little garden area behind the apartment house and when that filled up on the counter in the kitchen. That started looking kind of silly so I stopped picking up stones. Now that I need stones I’ve started picking up two at a time. 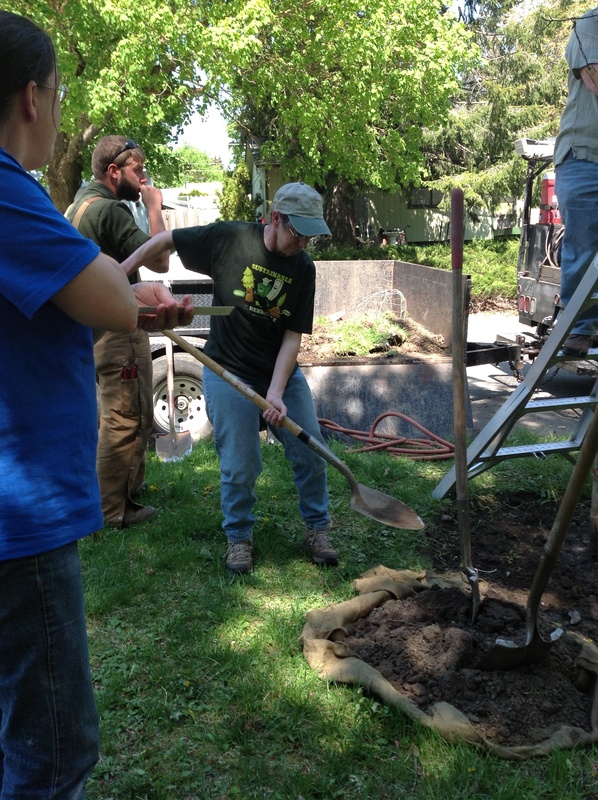 I thought of threads at tree plantings today. 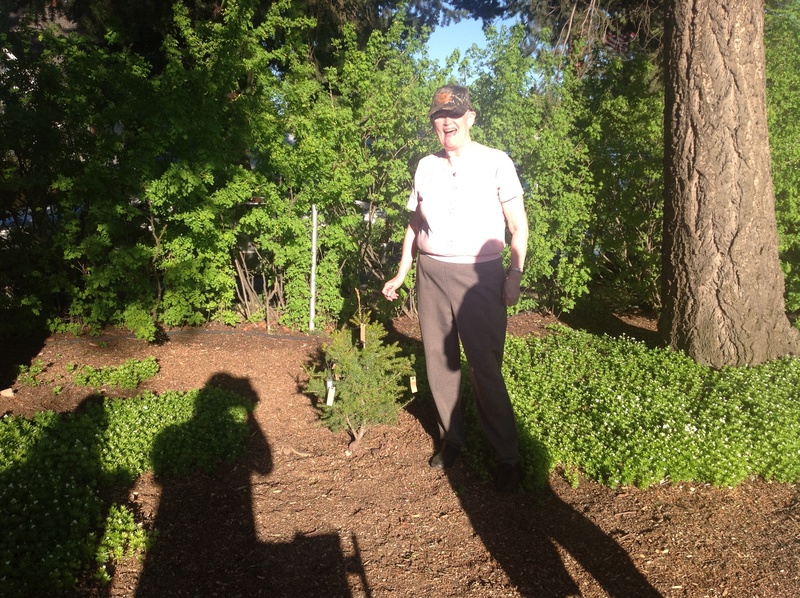 A Japanese Pagoda was planted as a retirement tree for Sally, the wonderful leader at the Finch Arboretum. She has helped me get trees planted there and has come out to other parks to help plant Susie trees. She was there in Stone Park digging the hole in a March 21st blizzard a few years ago helping to plant an anniversary tree. I hope she will see this tree as a thread connecting all those trees and will help keep us connected during our retirements. The second tree, a hedge maple,went into Audubon Park but the dedication will be held later. This tree is for Ellen, a great gal that I worked with at the library. This tree is a thread connecting the times we spent working together, enjoying the symphony together and even walking a couple of Volkswalks. Most importantly this tree weaves us together as mothers who have lost adult children. I hope this tree helps her as all the trees have saved me. I sit here looking at that pile of stones. Time to get out the paint and brushes.